I just love the little costumed characters that are featured in this collection, and these two faces were just too cute to pass up so I had to use them on my first project! I started by choosing some fun papers from the 6x6 pad to create the card bases, added a block of solid paper to each one, wrapped them with some doodle twine then got busy embellishing! I mounted the circle face stickers onto a block of patterned paper with foam adhesive squares so they are popped up off the card just a little bit. I tucked some sticker banners slightly underneath the face stickers and clipped a few mini paperclips to the block before adhering to the card base. I couldn't resist using the awesome coordinating washi tape and a few sprinkles to the solid area. I can't wait to give these away to some special people with a bag of yummy goodies to celebrate Halloween! 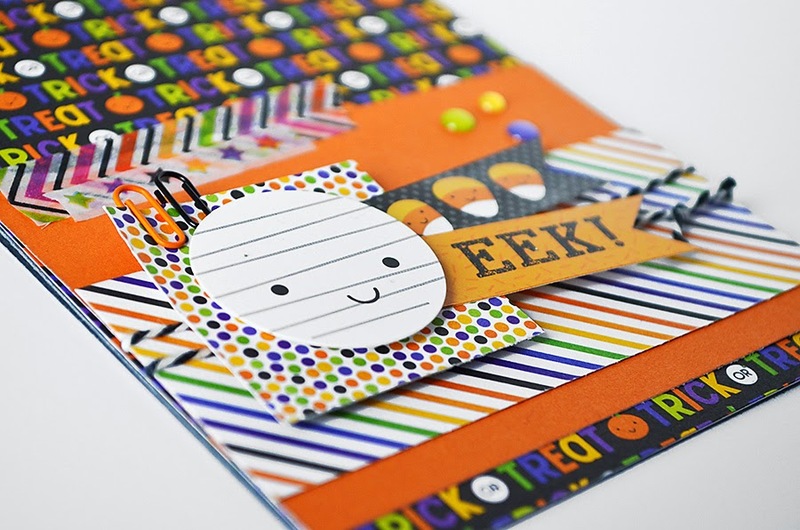 Court from Court's Crafts here with a little doodlebug halloween card for you! I am NOT into the spooky halloween stuff at all. I LOVE cutesy halloween. love it. doodlebug's halloween lines are always SO up my ally!!! I was inspired by my cousin's quilt square for this card. 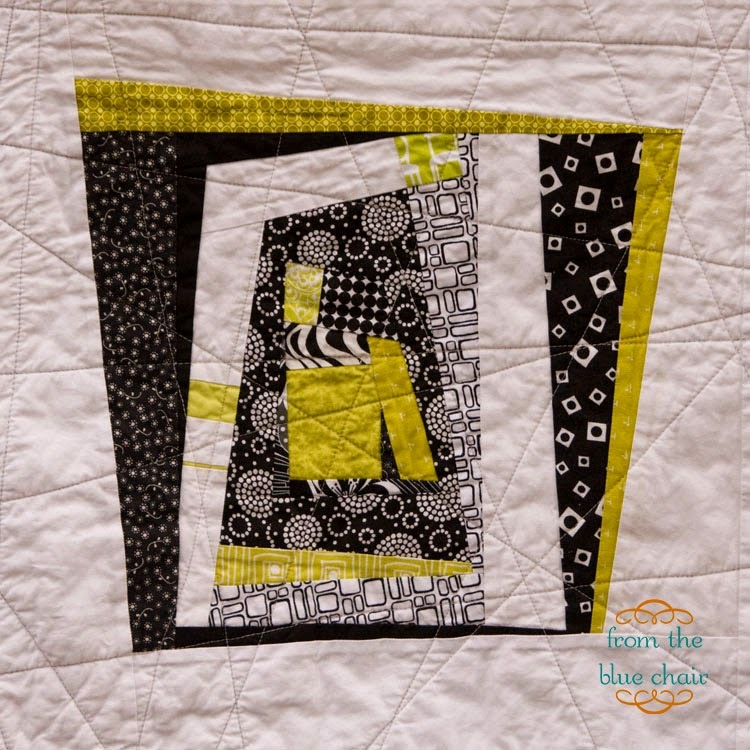 She made a "wonky log cabin" quilt and I was enchanted with the idea of lines not matching up... as someone who always likes things "square", this was not only a foreign concept to me, but something I needed to do for my creative side. To do this, I actually cut a 4x4" piece of cardstock into 4 pieces - 2x2" squares... so I couldn't line them up... because like I said, I have issues... ;) Then I did the 2x2 squares individually. You can see that I couldn't even cut the papers with a lot of slope. This totally felt avant-garde to me! haha. I also REALLY wanted to highlight the washi tape. There are 4 washi tapes that came out with this collection and I wanted ALL of them on my card! haha. 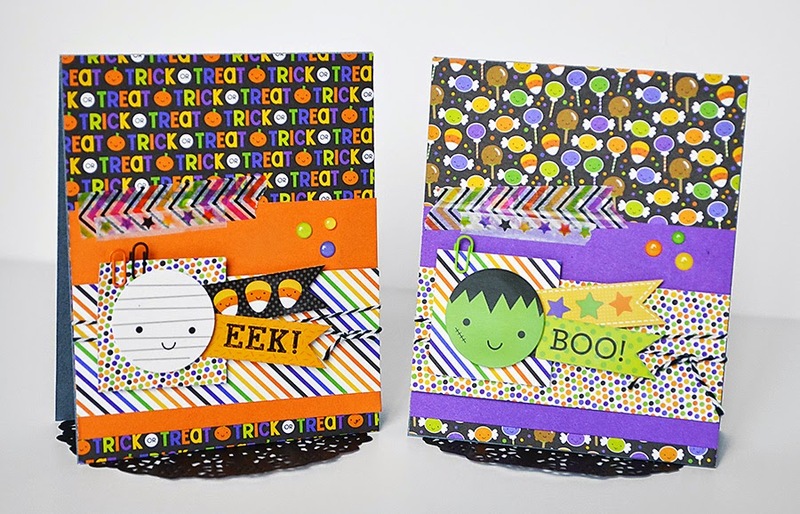 The halloween chevron, "Trick or Treat", spooky stars, and dandy candy are all washi tapes! I wanted to show you how cute the new "chippers" look on a card! I put them on both sets of my cards this month. I hope you like them! They are so much fun! Helloooooooooo mini paper clips!!! These. Are. Darling. Pick them up. The colors - yum. Thanks for hanging out with me today and don't forget to enter to WIN this gorgeous new collection!!!! LOVE all of these Courtney & Wendy Sue!!! These are fabulous. I adore this line. Great job. Pinned both designers card(s). So cute. Adorable projects today! This is such a cute collection. Wonky, wacky and wonderful!!! This new collection is PERFECT for your "wonky" inspired card Court! And tell your cousin that her quilt is off-the-charts awesomeness! I love your card, great job! Adorable cards, love the bright cheery papers! 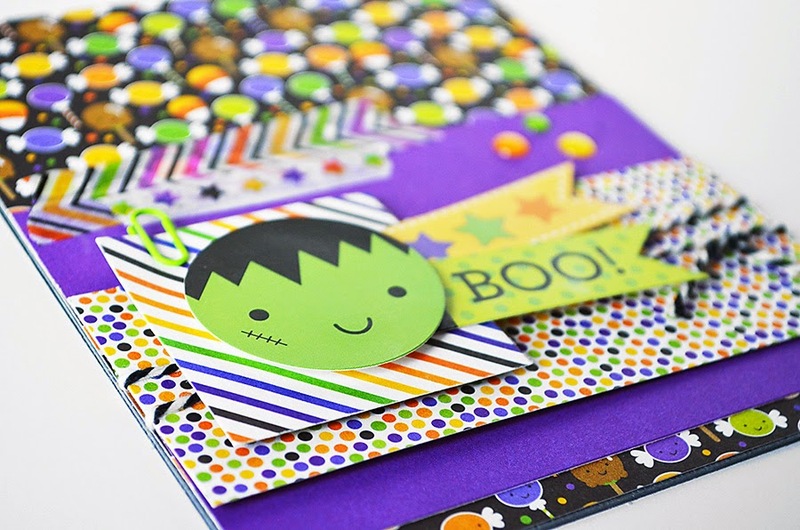 The ghouls are adorable and love them popped up as the center of attention on the card! 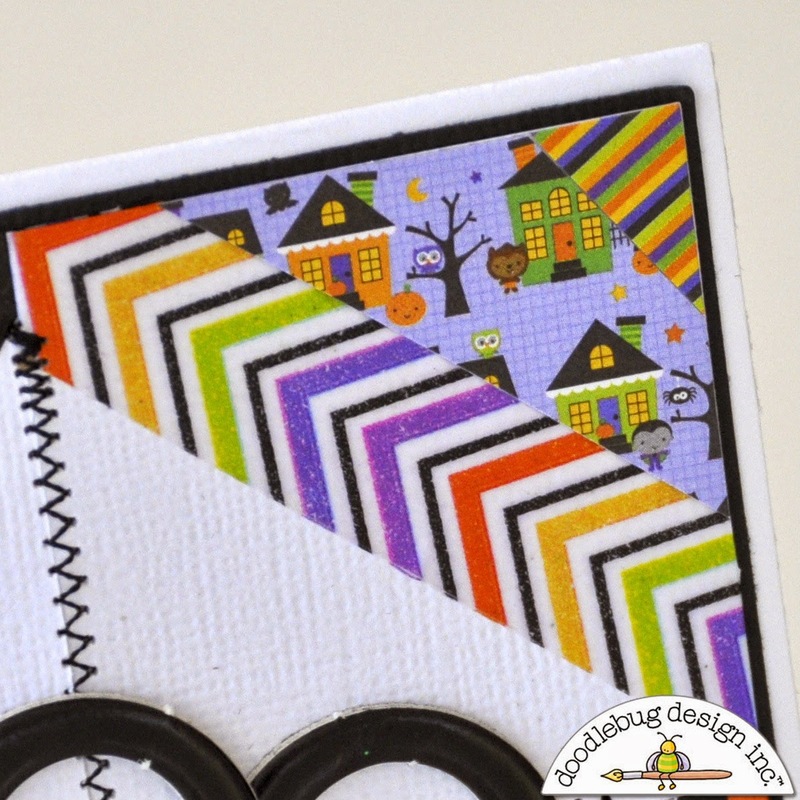 And the quilt card is adorable, great inspiration! 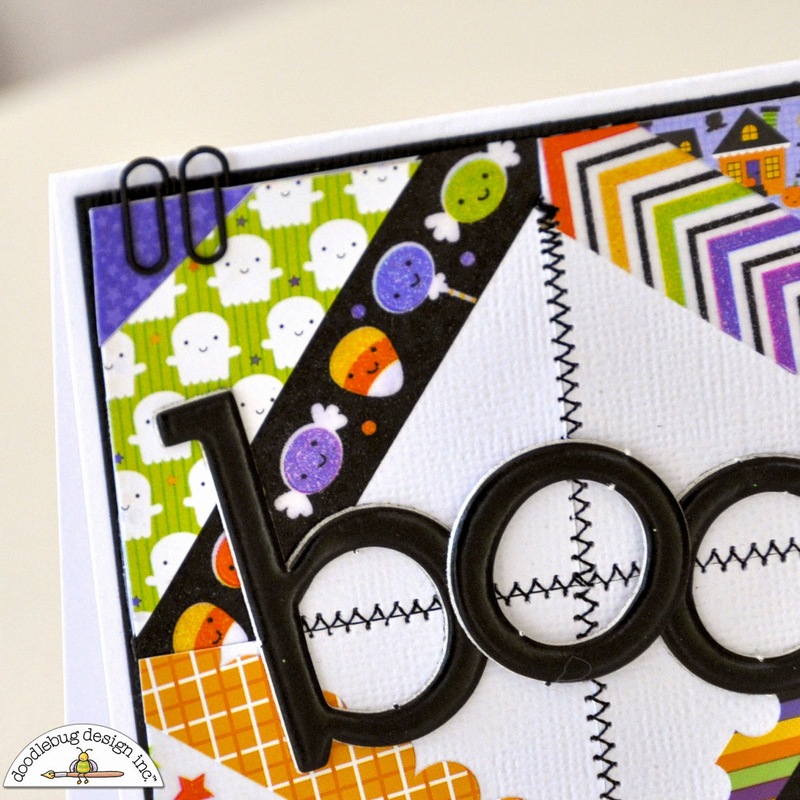 Fantastic cards, I love the layering! 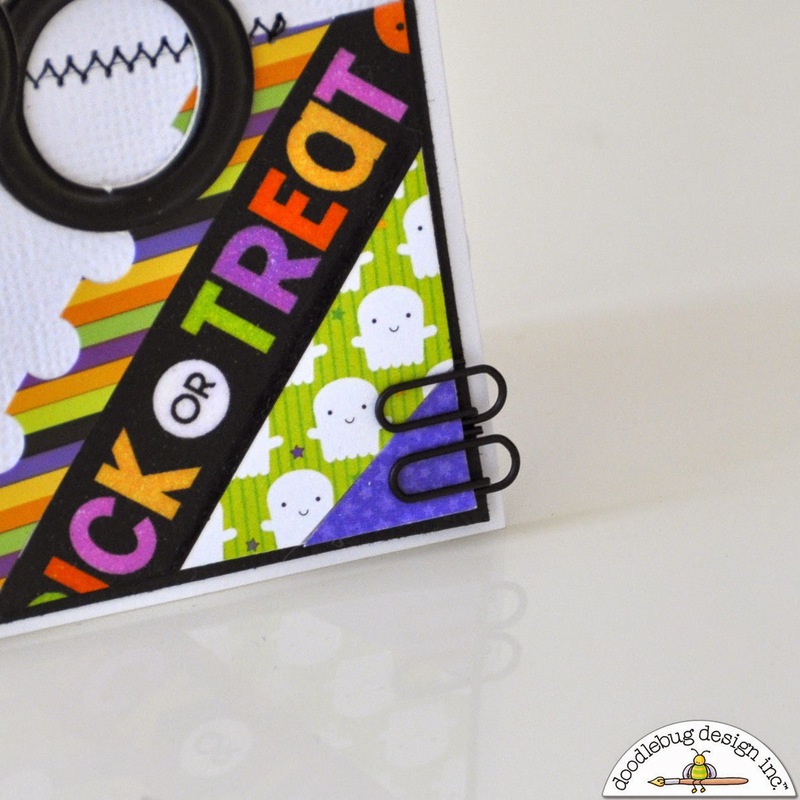 I pinned these fun cards. I still send hand made cards to my nieces and nephews. Love this! Great job! I am super impressed with these ladies absolutely knock it out of the park use of the incredible new line by Doodlebug - you girls did awesome and I love seeing the new products being used so creatively!! 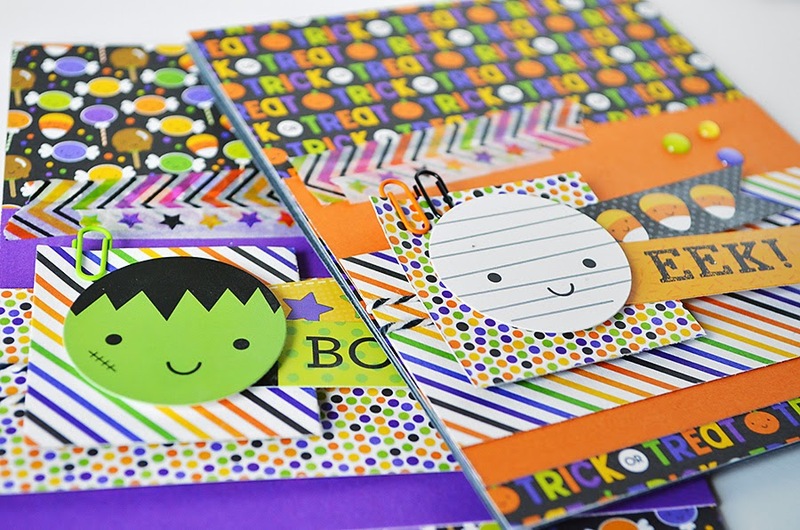 BOO-tiful cards Wendy Sue & Courtney - LOVE your FUN layers & FAB designs!!! LOVE the papers and coordinating elements from this collection!!! These are all such cute cards! Thanks for sharing!